Many businesses are filled with busy workers trying to get everything done each day – but a “busy day” does not necessarily mean a “valuable day,” nor does a busy day always lead to success. Most business leaders know this. How do we help our workers shift from being “busy” to being “productive”? Experts say the secret to creating valuable, productive days is to manage your focus, not your time. 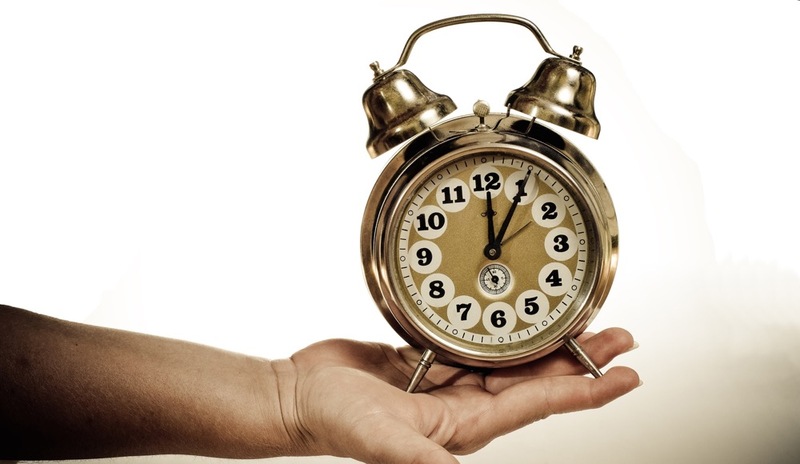 Herman coaches his clients to stop focusing on time management and focus on time value instead. This means filling your day with activities that push the business forward. But before explaining how to do this, we need to look at where most workers struggle. 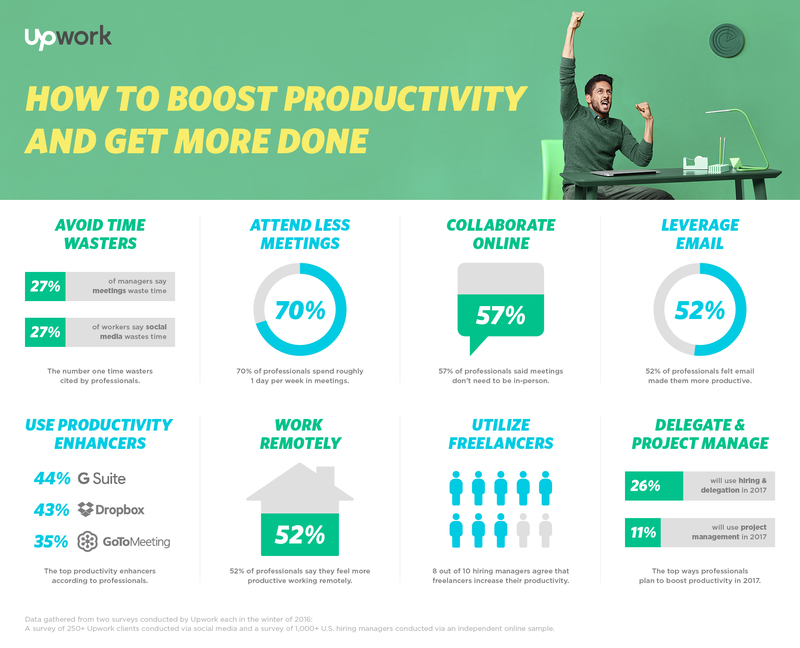 In our recent productivity survey, professionals ranging from freelancers to CXOs reported their biggest obstacle to productivity was handling distractions (32 percent). Distractions include coworkers walking up to your desk to chat, text or instant messages, the regular buzz of an open office, and everything in between. Another study found people were interrupted on average once every three minutes and five seconds. Roughly half of these are “self-interruptions,” like dropping a task to hop on Facebook or check your email. The second biggest productivity-killer is dealing with non-core tasks. Twenty-seven percent of our survey participants said meetings were their biggest time wasters, while 21 percent felt emails had hampered their productivity. When you’re busy, it is tempting to multitask – but it has been proven that multitasking cripples productivity. In 1995, academics Robert Rogers and Stephen Monsell discovered the mind and brain were not designed for heavy-duty multitasking. When humans switch tasks, our brains subconsciously go through two stages. First, the brain goal shifts (“I want to do this now instead of that”). Next, it activates rules (“I’m turning off the rules for that and turning on the rules for this”). If you’re switching between complex tasks, you pay a higher price for each switch because you must clear your mind and then settle your focus on the new task. Context switching can cost as much as 40 percent of your productive time. What’s more, frequent context switching increases errors. Interruptions – whether caused by yourself or someone else – don’t only affect your productivity. They also affect your quality of work. It’s no surprise that only 26 percent of people in our survey reported they get more done at the office than at home. Unfortunately, most of us can’t avoid the office. How do you get more valuable work done when you’re juggling distractions and demands from others and multitasking doesn’t work? Parkinson’s law states that “work expands to fill the time available for its completion.” When you’re competing against time, you tend to work faster; when you have a lot of time to complete a task, you tend to work more slowly. You can maintain a consistently efficient pace by applying Herman’s “block and tackle” method: Assign a defined amount of time to complete a task. Minimize context switching by batching similar tasks together. You’ll work in a rhythm longer, which helps you stay in the flow. You may underestimate the time needed to complete each task. That is natural. Keep track of tasks and the time required for completion. The next time you time block the task, it’ll be more accurate. Productivity expert Mike Vardy suggests taking organization a step further by dividing your week into theme days. When you look at your overall week, you’ll see your activities can be divided up into specific areas of focus. These could be “meetings,” “writing,” “planning,” and so on. Then, give each day of your week an overarching focus. That’s your theme for the day. By setting themes, you know when to schedule tasks that come up throughout the week. When you get pulled away, you know what to come back to. When you’re not feeling up to a task, move it to the next time that theme day comes up. This makes sure it gets done instead of just pushed further down the calendar. Setting themes also helps you optimize focus while reducing context switching. If Mondays are meeting days, that’s when you schedule sales calls or team meetings. If you do creative work on Tuesdays, that’s when you shoot videos and write blog posts. If you need to learn how to use a new platform, schedule it for Wednesday – training day. Plan themes to your personality, too. If you tend to be low energy on Monday, you may be better off setting Tuesday or Wednesday as your meeting day. Track how themes work for you, then adjust as needed. If your staff can’t wait a week before meeting with you, schedule a half hour at the end of each day for internal meetings. I your days are dynamic, perhaps schedule 8 A.M. to 10 A.M. Monday through Friday as creative time. Play with it. As I’ve mentioned elsewhere, the goal isn’t to get more done – it is to fill your day with activities that generate the greatest individual return and to do so with less stress and more leisure. We all have the same 24-hour days, so let’s practice focusing our time on accomplishing more of what we can be proud of at work and in our personal lives, too.